Mehsana Election Result 2019: Mehsana seat will again win a fight between the two Patidar candidates. Shardaben Patel comes from small-12 Kadva Patidar community. His father-in-law is in Lanja village of Chanmasama taluka while her mousal is in Visnagar city of Kadu Patidar society. Since the importance of taking a round of Kadva Patidar society on the Mehsana seat, it will be important that any candidate who chooses a candidate for the rounds. 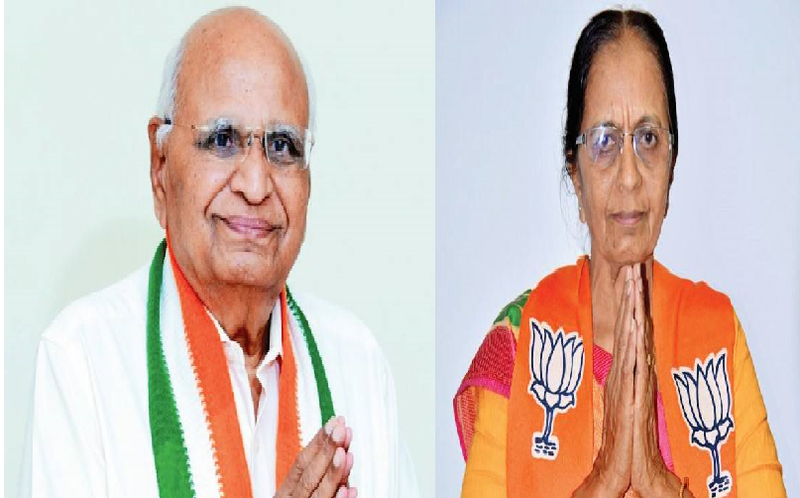 After announcing the ticket from the BJP to fulfil the incomplete tasks of the husband, Sharadaben Patel, talking to the media, said that her husband Anilbhai Patel had a desire to go to Parliament. So dreaming of completing their incomplete tasks will be completed. They worked silently in many social institutions. But there was no desire to come into politics. Both the candidates of Mehsana Lok Sabha constituency live in Mehsana city. But both of the candidates are from the locality of Chanasma taluka. Congress candidate A. J. Patel is from Chanasma Taluka's Chawli village, while Sharadaben Patel is a native of the village of Chanasma taluka. Thus, both the residents of Chanasma taluka will fight for the Mehsana Lok Sabha seat 2019. But the Mehsana Election Result 2019 will be eye-catching. Shardaben Patel has studied till the second year of Bachelor of Arts course. At present, she is vice-president of Stree Kelavani Uttejak Mandal (SKUM), Ahmedabad, and is also a trustee of Sakalchand Patel University, Visanagar. She is president of the governing council of MG Patel Sainik School for Girls in Ganpat Vidhyanagar. Shardaben is the wife of industrialist late Anil Patel, who was Gujarat Industries Minister and MLA for two terms from Mehsana. Anil Patel was the founder of Ganpat University and president of Umiyamata Sansthan. He also served as chairman of Apollo Group of Companies.